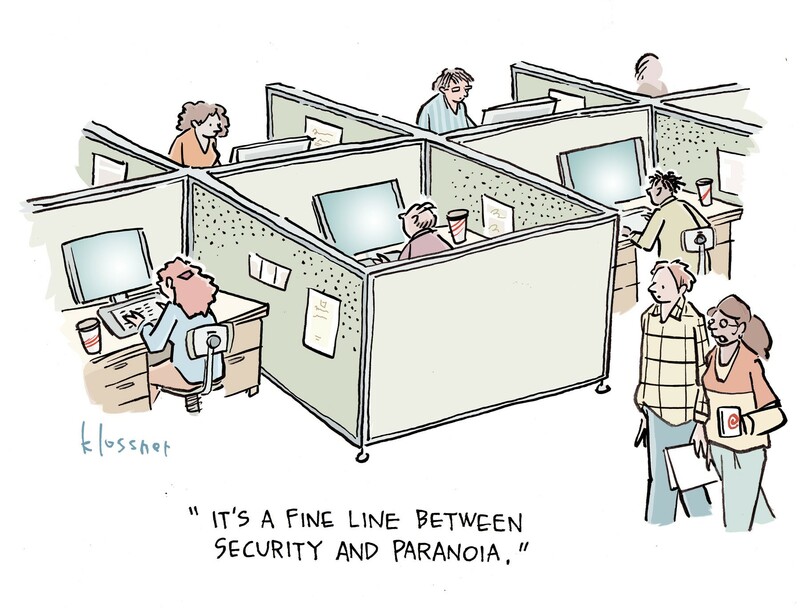 IT and security teams work more effectively together than apart. Every modern organization operating today needs to rely on IT teams for service assurance within their networks and security professionals to keep everything safe. Organizations need both to operate effectively, not unlike a person employing both halves of the brain. However, because of the way IT and security have developed in siloed environments over the years, a gap has formed between them that decreases the effectiveness of both. It's probably no surprise to anyone working in technology why this gap has formed between these two teams. For years, the primary focus of most organizations was IT. The IT team had to get websites, applications, and communication systems up and running. Then came a wave of cyberattacks, and a security team got added — some might say bolted on — as a separate entity with its own responsibilities. Even though both groups have the best interests of the host organization at heart, the gap still formed because they use different lexicons and tools, and have different priorities within network operations. In some cases, they may not be physically based in the same location or, in the case of outsourcing, be managed by the same company. That puts a lot of roadblocks in the way of collaboration, with the costs associated with effective systems integration being one of the leading factors impeding executives' decision making. But leaders need to ask the question: Do I invest in securing my business effectively in a manner that allows systems to function to the full extent of their capabilities, or do I suffer the costs of being compromised? Hackers have already taken notice and are using this gap to their advantage. The use of advanced tools, such as Hammertoss, is a perfect example. It was designed to mimic normal user behavior, thus hiding from cybersecurity teams that didn't have enough visibility into network operations to spot the anomalies. And it exfiltrated data so slowly, using such little bandwidth, that IT teams didn't detect anything amiss on their end. Had IT and security teams been working together on a unified platform with shared situational awareness, there likely would have been more than enough clues to unmask the threat before it could cause significant damage. There are many advantages to having separate IT and security teams, with the most important being that it allows experts in both groups to hone specific skill sets that make them more effective at their jobs. But that doesn't mean that each must operate within a silo. Combining security and IT operations can be as simple as encouraging more communications and providing tools that give them visibility into areas supervised by the other group. In security, having a deeper understanding of how systems within the network are designed to perform would help them to better spot and stop threats. Modern advanced persistent threats that use tools like Hammertoss, which have been successful at exploiting the gap, would have a much harder time. Attacks that leverage native capabilities in the operating system or whitelisted websites/applications (such as tech support) would not be so invisible to those on the security team if they knew what day-to-day operations of those systems looked like from an IT perspective. IT would also benefit from better collaboration with security. One advantage would be allowing IT teams to think more like analysts when planning network expansions. Generally, IT staffers working in a silo consider having more systems and more capacity to be a good thing, even though recent studies have found that as much as 40% of the capacity of most networks is not utilized. From a security perspective, more capacity and more systems equals a bigger complexity, which adversaries can use to their advantage. Combining those methodologies could lead to more efficient and less expensive network growth. I have seen firsthand the advantages when IT and security become more integrated. During my time working in government, I used to manage a branch that performed root cause analysis and analyze metrics for cyber defense across agencies. We worked with assessment teams as well as incident response with focus on identifying gaps across people, process, technology, and policy. What I always observed was that organizations that had their IT and security teams tightly integrated to foster collaboration had much greater success during our assessments. Ideally, security and IT should collaborate from the design phase of every new project. That can act as a good starting point in bringing those two worlds together and teaching them how to work together. Once the advantages of doing that are observed by both groups, it will be much easier to get buy-in on the bigger goal of complete integration and collaboration. Only then will the gap finally start to close, eliminating a core danger to networks while also improving overall efficiency and cost savings.